You have identified the ideal contractor for pavers in Miami, Florida. We are a family-owned and operated business, and we have been building on our reputation for excellence for over 20 years. 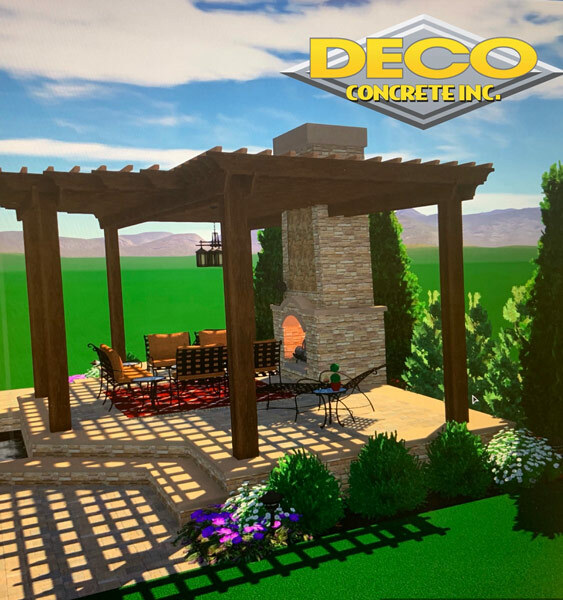 This deep experience is something that cannot be taught, and we also have a thorough understanding of the types of landscaping and architecture that are common in South Florida. Because we have been working in this area for so long, we are uniquely qualified paver contractors. This city is one of the most exciting places on the entire planet. People from all over the world come to experience spectacular South Beach and everything that it has to offer. From a cultural perspective, there are jewels to visit like the Perez Art Museum and the Bass Museum of Art. There are countless world-class golf courses, and because of the mild weather, people can enjoy them all year around. We love the city, and we enjoy the time that we spend beautifying local homes. 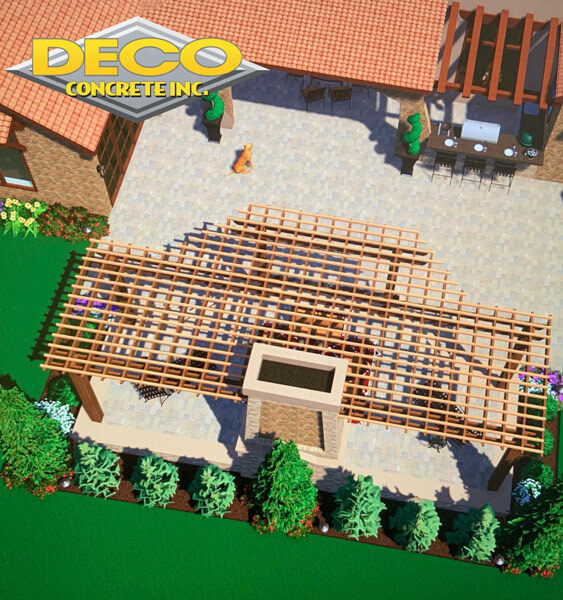 From Miami Beach to the Redlands/Silver area and everywhere in between, for pavers in Miami, Florida, Deco Concrete is the only logical choice. Since the weather is so nice in South Florida, people have the ability to spend a lot of time on their patios. Well-designed patio pavers can make the experience much more enjoyable, and this is an area of expertise for our company. We can gain an understanding of your property, discuss your ideas with you, and develop a plan of action that we implement perfectly. 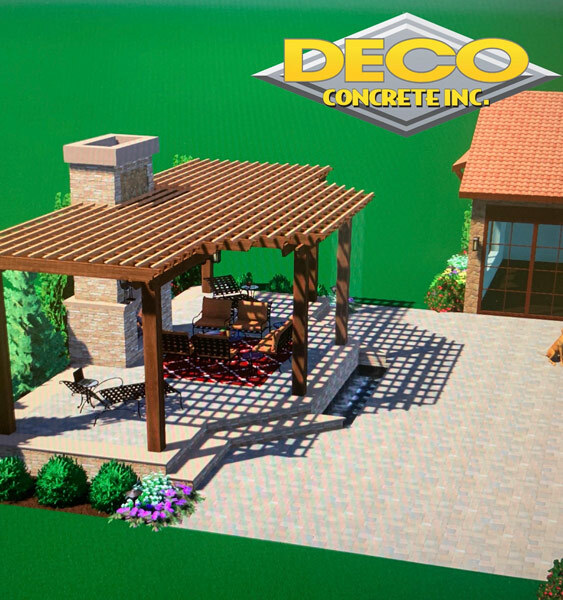 Plus, if you are interested in driveway pavers, this is another area of specialization for our design professionals and installation technicians. When you have the luxury of living in a tropical climate, a backyard pool is highly desirable. 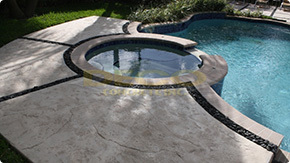 There are many homes with pools in Miami-Dade and Broward counties, and we have beautified many of them with textural stamped concrete and brick pool pavers. 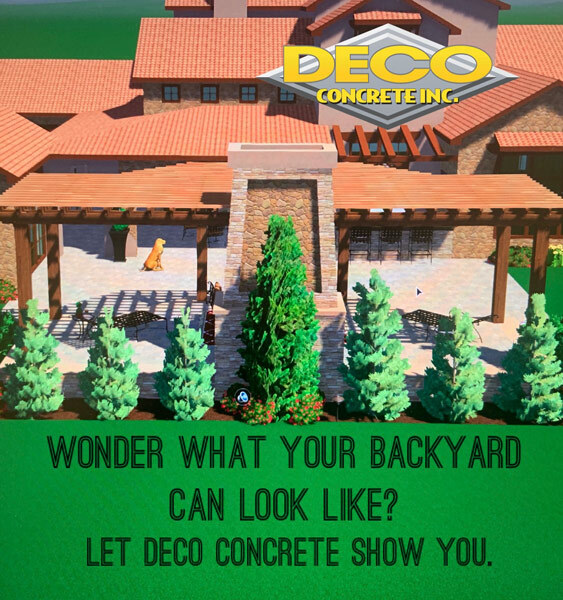 There is no reason to settle for a drab, degrading patio, pool area, or driveway. Your home is your castle, and you should enjoy it to the fullest. When you invest in pavers for your South Florida home or business, your property value rises, so the money that you put out comes right back to you. If you are ready to act, you can reach one of our Miami, Florida paver consultants at 305-828-5158 or 954-962-8009. There is also a contact form on this website that you can use to send us a message electronically.